My dining partner and I arrived at Caruso's Italian Cafe on a warm weekday evening. Our reservation was scheduled at 7 PM, but we came early to take a leisurely walk around Staats Lake. With our appetites successfully worked-up, we entered the front doors of Caruso's where the hostess greeted us. She guided us through the lobby into the elegant dining room toward our table- a small two-seater, next to the window, overlooking the lake. So far, so good. The dining room is separated from the kitchen by a service area with two doors. Soft music and conversation made for good background noise. The atmosphere was lively and very pleasant. We browsed through the menu as ice-water was poured. Caruso's offers a variety of appetizers, ranging from $7 to $10. Entree selections include pasta, chicken, veal, red meat, and seafood, priced from $15 to $32. Our server introduced herself and explained the specials. My ears perked-up as soon as she mentioned the Smoked Salmon Cannelloni. Each entree at Caruso's comes with a choice of a house salad or the soup of the night. Although the Minestrone sounded good, we both chose the house salad. Just minutes after placing our order, the first course appeared at our table, along with four slices of warm baguette and garlic dipping oil. Our salads consisted of romaine lettuce tossed in a creamy vinaigrette dressing with croutons and Parmesan cheese. The portions were spot-on for a first course, and the flavors were divine. The dressing boasted a sweet/acidic kick, while the garlicky croutons and cheese provided some depth. The main course was ready shortly after we finished our salads. My partner enjoyed Pollo alla Tuscana ($20)- a grilled chicken breast served with Fettuccine Alfredo and creamed spinach. I ordered the special Smoked Salmon Cannelloni ($18)- two large pasta tubes stuffed with cheese and smoked salmon, baked in both béchamel and tomato sauces, also served with creamed spinach. The rich, creamy stuffing in the cannelloni was excellent. It tasted lightly of salmon with smoky overtones. My partner was equally impressed with her dish. She noted the intense cheesy flavor of the fettuccine, and hints of rosemary in the chicken breast. And the creamed spinach was to die for! No dessert tonight. We were stuffed! Another lap around the lake? It's a rare treat to have such friendly and attentive service, combined with great food and a good price. But Caruso's pulled it off. No complaints here. These are the kinds of reviews we need instead of a full review of a large fast food chain that use to be owned by McDonald's (see review by Mama2Dylan). Will we see a second review of Sonic since another one is opening up in Keizer? and now I have this overwhelming urge to eat at Caruso's :>) Sounds like a great dinner experience! Love the pic of the fettuccine twisted round the fork and the view of the lake! I love Caruso's... the food is excellent! I agree, I definitely prefer reviews of unique locally owned restaurants. I really don't want to spend my money at any national chains. We are going to have to go to Carusos now. Haven't been to the new location. It sounds great. I loved the review and frankly I am not a proponent of fast food, in fact I loathe it. I avoid fast food at all costs; however I do have an 11 year old son who likes it. :( In a perfect world we would all exclusively eat at and review unique locally owned restaurants. I wonder how many people would be put out of work at the chains if we did! What I don't do is avoid national chains. If the food is good, the prices are reasonable, the restaurant is clean and the service is good then what more can I ask for? I recently ate at Romano's Macaroni Grill in Hillsboro on my brother-in-law's tab. I have never had a bad meal or service at one and I love their menu choices and prices. Our entrees ranged from $12.50 to $16.00 (for a seafood linguini). Frankly some people can afford places like Caruso’s with prices ranging from 15 to $32 an entree. I visited their website and looked over ther menu; they want $27.00 for a NY steak! For me and the average Joe, and or Salem family with kids, the $18 & $20 entrees the poster had were too expensive for my budget. Add to that the appetizer I'd want to order and the wine it could get spendy. For me it would probably be a nice choice ONLY for a very special occasion. My son and I ate at Chipotle for lunch. We were out running errands on Lancaster, had not eaten any breakfast and it was 11 a.m. I wanted food fast but not fast food. Since I had never had Chipotle, and they hadn't been reviewed on here yet I thought it was a good choice. When deciding to eat there I did so without the preconceived notion that they were a "fast-food chain". I thought they were one of a kind if you will. It was only after I started to review them and did some research on-line that I found out the history. As far as Sonic goes I've never eaten at one and don't have a desire to ever eat there. Salem Man, the founder who launched this blog is the one that originally reviewed Sonic five to be exact beginning April ’08 with the last post in June ’08 (http://eatsalem.com/search/label/Sonic). In 1998, McDonald's made an initial minority investment in the company. By 2001, they had grown to be Chipotle's largest investor. McDonald's investment allowed the firm to quickly expand, from 16 restaurants in 1998 to over 500 by 2005.On January 26, 2006, Chipotle made its IPO, after increasing the share price twice due to high pre-IPO demand. In its first day as a public company, the stock rose exactly 100%, resulting in the best U.S.-based IPO in six years, and the second-best IPO for a restaurant after Boston Chicken (now Boston Market). The money from the offering was then used to fund new store growth. In October 2006, McDonald's fully divested its investment in Chipotle, part of a larger initiative to divest all of its non-core business restaurants – Chipotle, Donato's Pizza, and Boston Market – so that it could squarely focus on the main McDonald's chain. As of March 2009, 830 restaurants have since opened throughout the United States and Canada. All are company-owned, rather than franchised. Founder Steve Ells still serves as chairman and CEO of the company. I think the prices are extreme. Go to Macaroni's in Bridgeport in Portland and you will dine with the best Italian food you can imagine at prices that are reasonable. When will restaurants realize that being FAIR in their prices for food will draw a crowd? Macaroni Grill can have a little lower prices. They are a huge chain after all. Running a nice restaurant is expensive and I think Caruso's does an exceptional job. Maybe so, but NY is about $9.00 for 16 oz in the grocery store, 3x's that amount for a 12 oz steak (if that's what they serve) is too expensive. I could see it if they were in San Francisco, but in Keizer? Alessandro's on Commercial in Salem charges $24.00 for their NY still expensive but slightly cheaper and I'll bet Alessandros's rent is high in that building. Personally, I'd rather buy the steak and grill it at home. Heck I'd even be able to throw in a lobster tail or some crab! Running any restaurant can be costly, but if I get excellent food in a nice atmosphere with all the other bells and whistles such as a Macaroni Grill, chain or not my dollar goes where the entrees are equally as good for around $7.00 less per. I think that if you have an 11 year old son that likes fast food, then do not include a rewiew of it on this site. We all know what fast food offers! Go just don't write. I don't care about how salty or fresh the $3.00 chips were. I do care how the $27.00 steak was. It's fair to say that chains are typically not as good as independently owned restaurants. In addition, chains and franchises do not say much about a town. Independently owned restaurants tend to be more interesting and more pure...more real...more representative of the people of a town. For example, witness the recent popularity and appeal of Word of Mouth or La Capitale. I'm okay with reviews of chains, but they should be quick reviews and far few in between. Of course, there may be exceptions to this suggestion. Imagine someone who's thinking about visiting Salem, they come to this site, and they see a long review of a well-known chain on the home page. Boy, what a boring, generic city! Reserve the long reviews for the local places. Also, not every place warrants a review. I liked that you shared some info aout the restaurant (the art, design, that kind of thing), but there was no need to go into excrutiating details about everything else. I appreciate the fact that chains can be cheaper than other places, and that fast food restaurants are appealing to families because their cheap and quick. And yes, there are worse places than Chipotle when it comes to health and environment. Hey, I may not like your reviews all the time, but I'm glad people are blogging about Salem. Ya, I agree, but my son didn't choose the restaurant I chose it. My son didn't even want to eat there. He likes fast food burger joints which he rarely gets to eat in. Had you read my post I stated that, “I wanted food fast but not fast food. Since I had never had Chipotle, and they hadn't been reviewed on here yet I thought it was a good choice. When deciding to eat there I did so without the preconceived notion that they were a "fast-food chain". I thought they were one of a kind if you will. It was only after I started to review them and did some research on-line that I found out the history." And you know when I think of “fast-food” I think of a place with a drive thru. Chipotle doesn’t have a drive thru. I thought this site was to review restaurants in Salem. 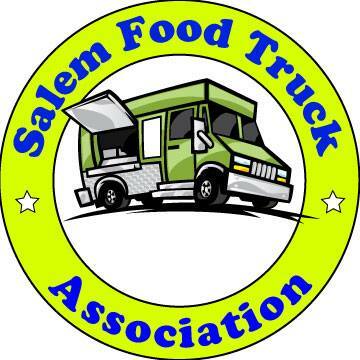 This blog is called "eatsalem" not "only eat and review independently owned restaurants in Salem". When I submit a review for this site to the moderator, Salem Man, it is he that decides weather or not to print it and it is he that actually posts it. With that being said, my question to you Salem Man is do you require or prefer that we only submit independently owned restaurant reviews? In addition this is called "eatsalem". I often see reviews here of restaurants outside of the city limits as far as 36 miles away such as Albany, Mc Minnville, Corvallis, Stayton, Mt. Angel and Sublimity. To me that in itself is not representative of Salem. While some may not care to read reviews of chain restaurants they are appealing to people with families because they are less expensive and fast. So, perhaps a family (with children) who's thinking about visiting Salem just might be interested in such a review. Not everyone who comes to Salem wants to dine in a fine restaurant with an expensive menu. And it may not matter to everyone weather or not it’s independently owned. M2D, I agree with you that we should try our best to include mostly Salem/Keizer restaurants. "In addition this is called "eatsalem". I often see reviews here of restaurants outside of the city limits as far as 36 miles away such as Albany, Mc Minnville, Corvallis, Stayton, Mt. Angel and Sublimity. To me that in itself is not representative of Salem." I am pretty sure most of the out of town reviews were more entertaiingpieces about a trip somewhere else. Plus, Stayton, Sublimity, and Albany are so close and small that they will not have their own food review site. IMHO a few scattered reviews from small towns nearby are good...they travel to us to eat out so why don't we travel to places like Monmouth or Independence to see a place that is very popular? I do, however, agree with many of the commenters here that most people know what to expect from a chain restaurant. Its the great thing about national chains. If you are out of town you know they should be a safe bet. So why don't we focus our reviews on places most people wouldn't know to visit? I do think a review of Chipotle is good though because it is a relatively new chain, not seen much in the Northwest yet. Don't worry too much about convincing people that you are valid in your posts. We each have our own opinion, while many won't agree, this site is about reading the diverse reviews from our diverse community and seeing what we can agree on and what we don't. Keep up the reviews, your voice is important. Mama2Dylan - you sure seem defensive. Just write what you think and don't worry about what others say about you or what they say that is contrary to your opinion. Personally I don't eat in chain restaurants because I know way too much about them and for many of the same reasons I don't like WalMart or Target or any big box. By me saying that I am not attacking you for eating at them or supporting them. You state your opinion and I will state mine.